Product categories of Tetanus Antiserum, we are specialized manufacturers from China, Tetanus Antiserum, Tetanus Antiserum For Human suppliers/factory, wholesale high-quality products of Tetanus Antiserum For Animal R & D and manufacturing, we have the perfect after-sales service and technical support. Look forward to your cooperation! Tetanus antisera is that healthy horses immunized,and booster immunized, hyper immunized with tetanus toxoid(the antigen), which can be the API of Tetanus Antitoxin Injection both for human us and for animal use.The horses are given adequate protein and vitamin in their feed and space for exercise. Stables and troughs are regularly cleaned and sterilized. horses are regularly weighed, cleaned and hoof trimmed to maintain healthy conditions.Newly-bought horses are separated and observed for three months. 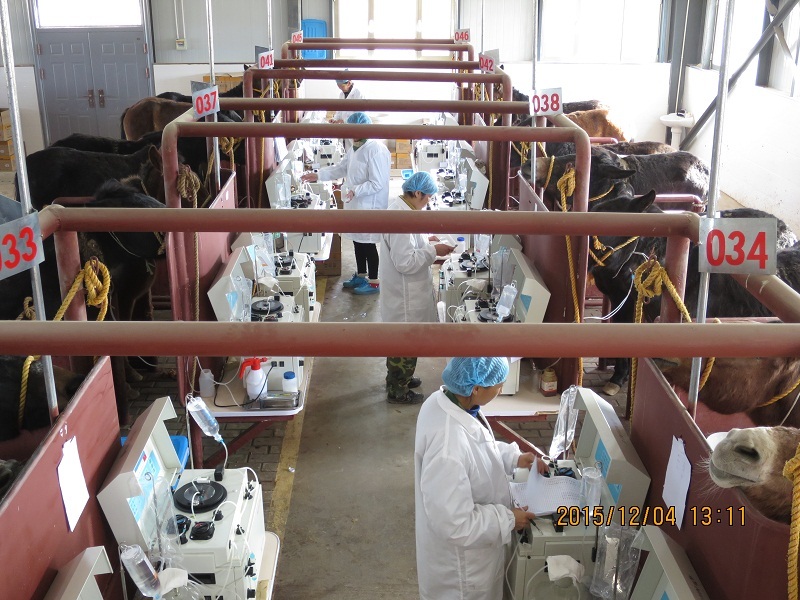 During this time, they are numbered, inspected and vaccinated if necessary.